13. Перекур. 1988. Суруби. Разведбат 180-го мсп. Smoke break. 1988. Suruby. 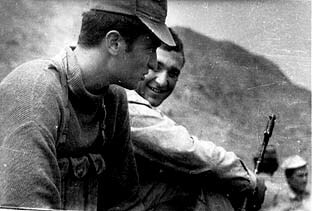 The reconnaissance patrol of the 180 infantry division.